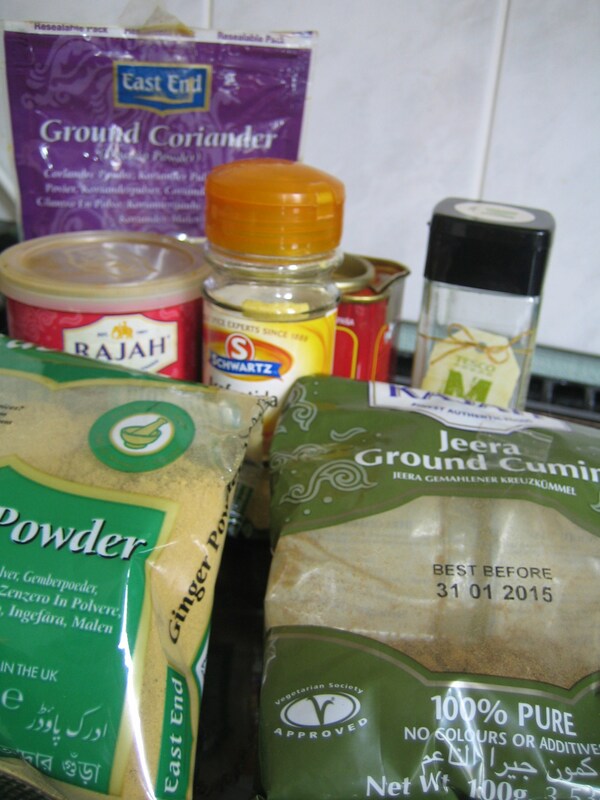 The link below is to a great little piece on asafoetida from BBC Good Food, if you are eager to learn more about this spice. I would advise anyone with coeliac disease to check to ensure it has not been mixed with wheat flour before you buy it. It is a great addition to recipes that are low fodmap. As for the account of it helping with those people who have problems with lentils and beans (foods containing oligo-saccharides) I cannot guarantee that the addition of this spice to dishes will reduce the effects of this fodmap, for those following a low fodmap diet. However if you are following a low fodmap diet and missing onion as a spice it is certainly worth trying. 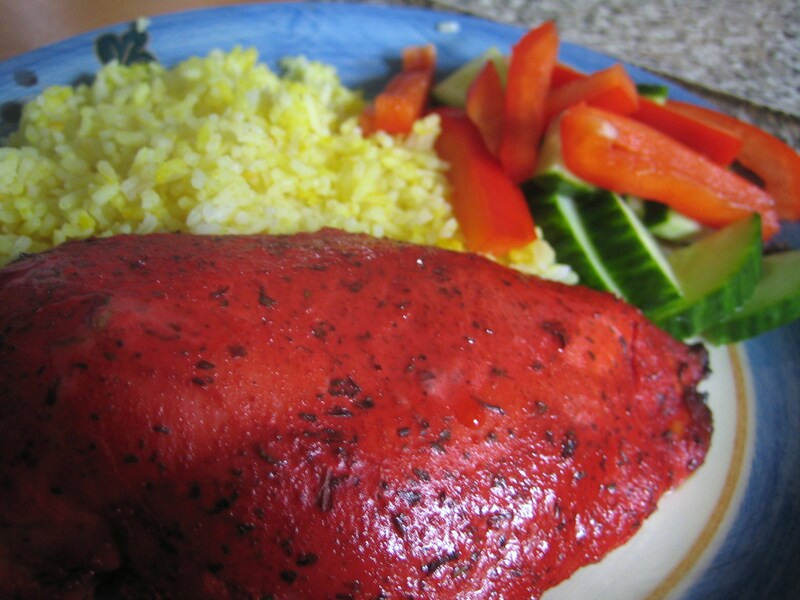 Low fat tandoori chicken – made with Low FODMAP spice masala! It is intensely frustrating following the Low FODMAP diet and visiting the supermarket and looking for an easy sauce or dry powder spice mix when lots of the sauces and spice mixes contain onion and garlic powder. How on earth are you to make a flavoursome dish with gut friendly ingredients? Make your own perhaps! 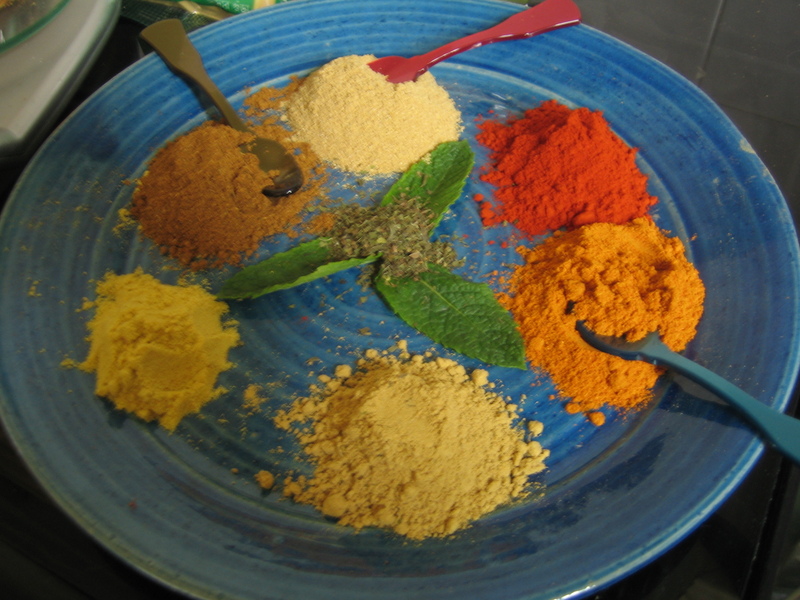 The following recipe is a masala mix for tandoori food. For a tasty spice mix use the following recipe – it makes about 140g of mix that can be stored for up to six months in an airtight container. Some tips on shopping for spices before we start with the recipe – check out your local asian supermarket and purchase spices in large packets, this is much more cost-effective than buying small jars. If you are following a completely gluten-free diet check all spices for gluten including your asafoetida (some spices can be adulterated by addition of fillers such as wheat flour.) It might be better to purchase spices from suppliers that do label their mixes with allergens and suppliers that understand that even small amounts of gluten can be problematic for coeliac, for example. Choose sweet paprika if your gut is sensitive to spicy food and you may want to use a mild heat chili powder too, or omit it all together. 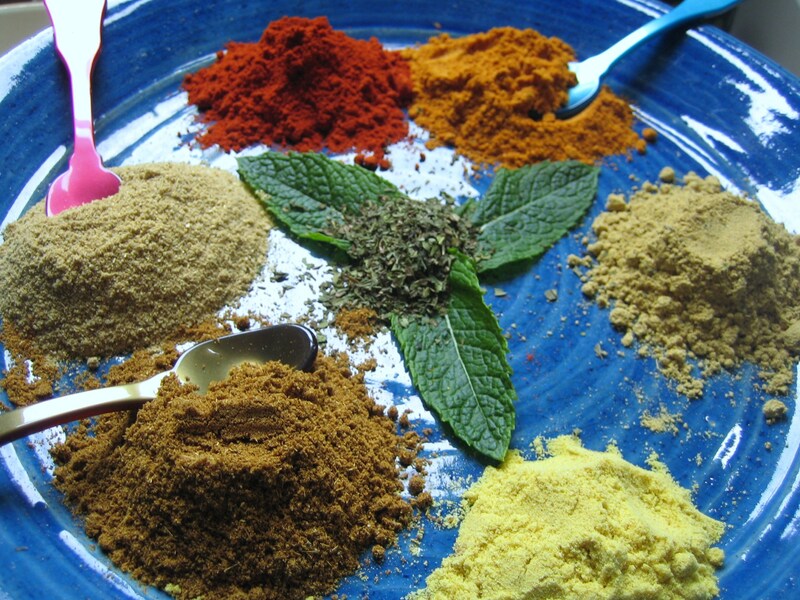 Use smaller amounts of the powder in your recipe, if you find that spices tend to increase your IBS symptoms. 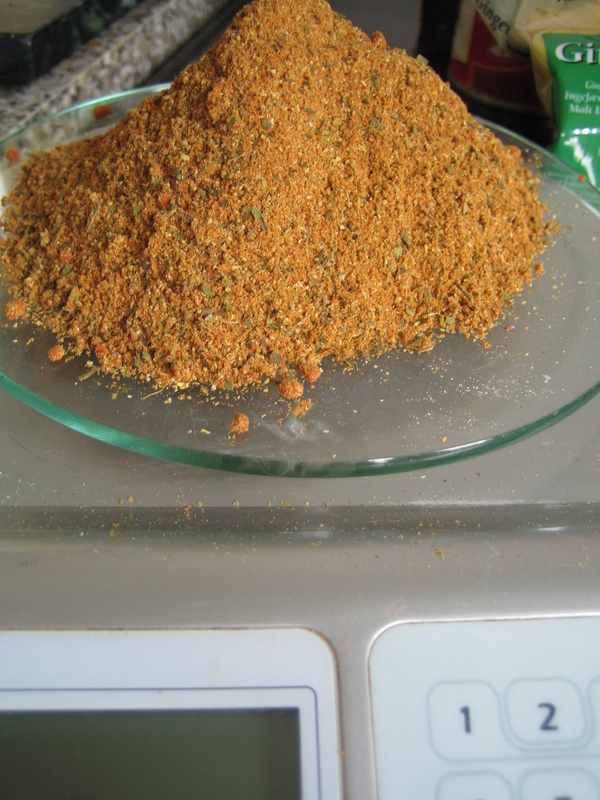 Mix the dry ingredients together and store in an airtight tin. 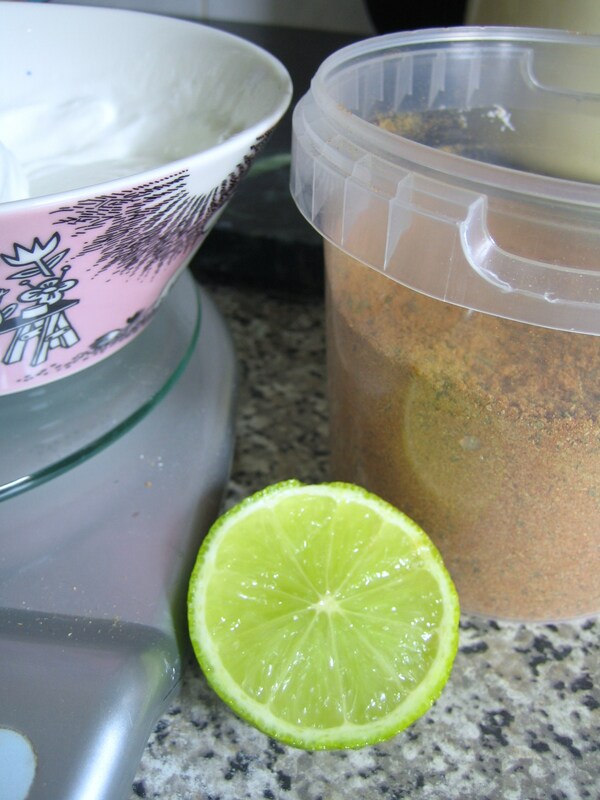 Weight out the yoghurt and squeeze half a lime into the yoghurt and mix well. Dry fry the spice mix till the aroma is released, cool and add the powder to the yoghurt. 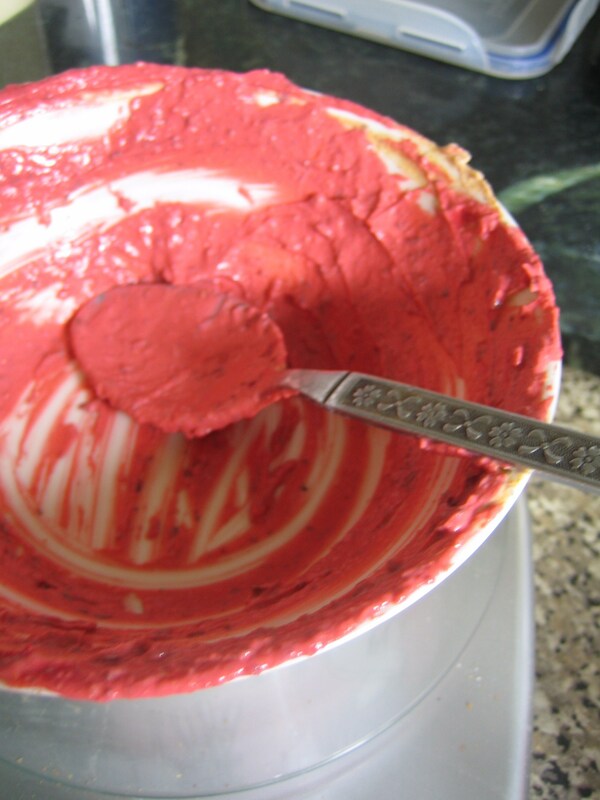 If you want to have the authentic indian restaurant colour you can add red food colouring the mix (as I did.) 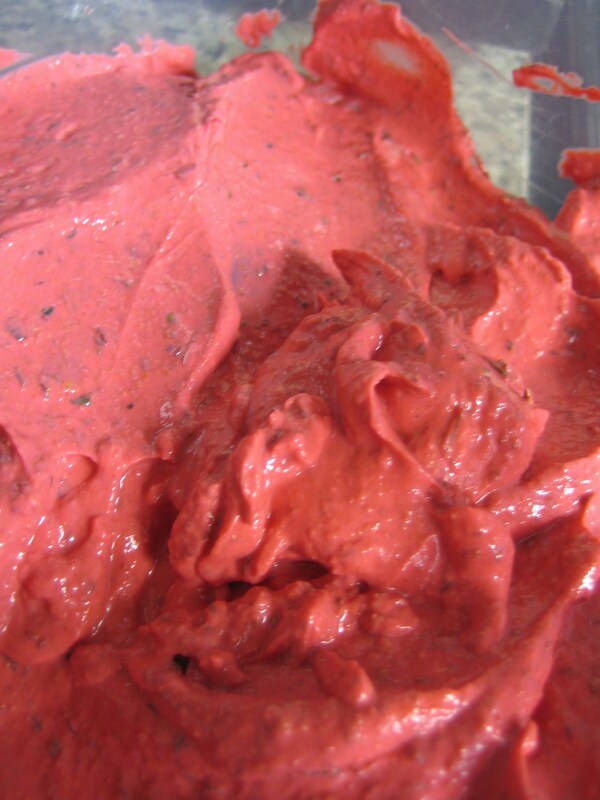 Ensure that the food colouring is not based on beetroot powder, this is a fodmap. Don’t be tempted to try the uncooked mix – it really needs cooking to bring out all the flavour, it doesn’t taste nice raw – believe me! Spread the yoghurt onto both sides of the chicken breasts and leave to marinade in the refrigerator for a few hours or at the very best overnight. Scrape off excess yoghurt from the chicken breasts and place in a hot oven and cook for 30 minutes till cooked through. Serve with boiled rice (add some turmeric and cassia bark to your boiling rice to add colour and flavour) and Low FODMAP salad. A low-fat tasty dish that is not too hard on your digestive tract, just the ticket for a Saturday night meal.